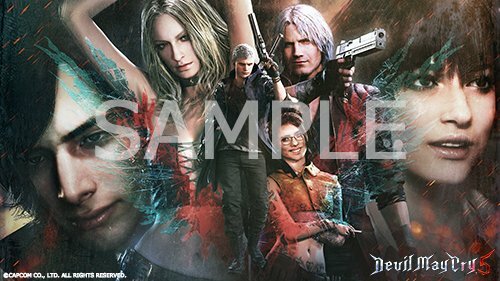 I would certainly hope that the deluxe edition comes with something for V as well, and perhaps that we'll get more than just a red bike (which is, of course, a reference to DMC1 and DMC3). Any song changes for Dante's theme? Yes this is what I've wanted since DMC4; just let me use two weapons instead of needing to cycle. Pardon the double post so soon after but I’m not on a computer so navigation I still slow and difficult. I guess NYCC is already under way. Didn't see that coming. Will there be anything of V yet? According to my friend at NYCC, there will be a DMC panel tomorrow so we might get some new info there. Maybe even a look at V? I hope so for more V. Even news about Dante's theme, if they found a new band/singer, even changed the song. The hype gets real. Waiting for Comic Con. New Spoiler. Was there anything on V? Nero? Kyrie? Vergil?